FIRENZE MADE IN TUSCANY explores the prestigious world of Florence and Tuscany. It covers the worlds of fashion, culture, art, products, wine and gastronomy, and also captures the entrepreneurial spirit of one of the world’s most beautiful lands, considered today to offer the finest lifestyle. 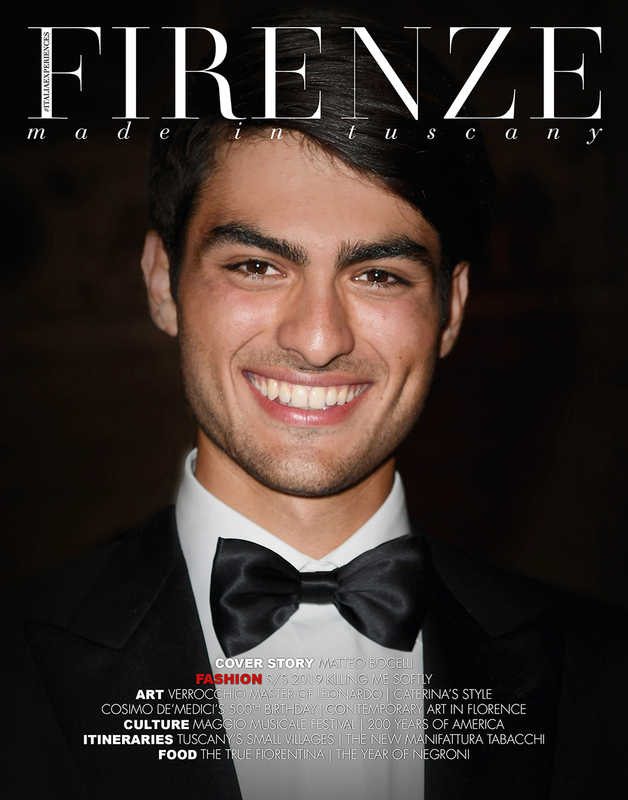 FIRENZE MADE IN TUSCANY features interviews with fashion icons, performing arts, business and sports celebrities who are linked with the city of Florence. The magazine offers a focus on fashion trends and the latest in technological innovations and design. It also reports on the best hotels, restaurants, shops and events. The magazine is closely linked to the surrounding territory but reflects international fashion, trends and events. This glossy, high quality magazine is published in Italian and English. FIRENZE MADE IN TUSCANY is a point of reference for Florentines and visitors alike: for discovering hidden treasures, knowing about the latest hot spots and locating unique restaurants and trendy shops. It is a guide for keeping up-to-date with the current news and activities throughout the region.